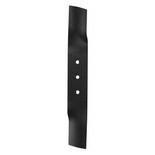 This lawnmower blade is compatible with all Ryobi Cordless Lawnmowers including RLM3640LI, RLM3640LI2, RLM36X40H, RLM36X40H40, RLM36X40H50, RLM36X40L, RLM18X40H240, OLM18X40H. 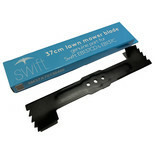 Genuine replacement mower blade for the Swift EB132C. 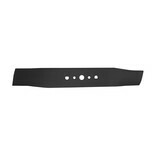 This blade features a durable build to ensure excellent and long term cutting performance. 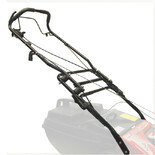 The Ryobi RAC431 is a replacement 330mm blade for use with the Ryobi cordless mower range including the RLM18X33H40. Completing this blade is a reliable build to ensure a precise cut. 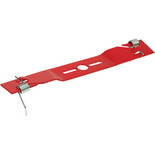 Easy to install rear deflector chute for Rover 20" and 22" petrol rotary lawn mowers. Rover AVH20 Anti-Vibration Handle Kit 20"
This low vibration handle kit is compatible with Rover 20" petrol rotary lawn mowers. 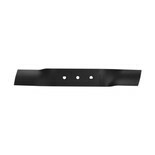 Rover AVH20 Anti-Vibration Handle Kit 22"
This low vibration handle kit is compatible with Rover 22" petrol rotary lawn mowers. 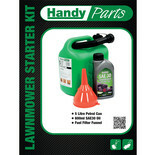 All of the necessary starting ingredients to help get your lawnmower running in one box - Just add fuel! 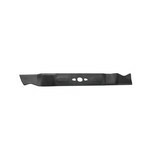 Genuine replacement mower blade for the Swift EB137CD & EB137C models. 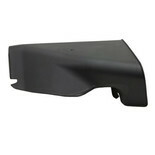 Search codes: 030116973, 030116974, 030116975, 030116976 for compatible models. The Ryobi RAC409 is a 530mm replacement lawnmower blade for the RLM53 series of petrol lawnmowers. 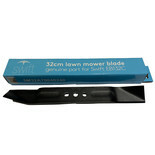 This blade benefits from a robust design and reliable cut for the perfect lawn. The Ryobi RAC414 360mm is a replacement blade for 360mm electric lawnmowers. 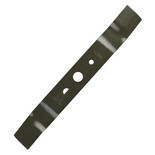 This blade benefits from a robust design and manufacture to ensure a precise cut. The Ryobi RAC420 is a replacement blade for electric corded lawnmowers including the RLM13E33S. This blade features a robust and reliable build for a precise cut.